and your pooch decides to wee on them? Or have you got a new puppy who is having little accidents on your lounge room carpet? Don’t panic – if the urine stain is recent and you act straight away, you can remove it yourself with everyday products you should have in your house. Using paper towel or an old tea towel, absorb as much of the excess urine as you can (dab – don’t scrub). Using a solution of 400ml of water & 100ml of white vinegar in a 500ml plastic spray bottle, spray on the stain making it wet, but not saturated. Then using more paper towel or an old tea towel, soak up the liquid, drying the area as much as possible. Sprinkle bi-carb of soda liberally over the stain. This acts as a deodoriser, to remove the smell and also to absorb the bacteria. Leave this on overnight, or around 12-24 hours until the area is dry and the bi-carb of soda is totally absorbed. Vacuum up any remaining bi-carb of soda once fully dry. Repeat the above steps if needed. Don’t forget to share with your pooch-loving friends and family. Please note that the above treatment only works on recent accidents. Unfortunately, if the stains are older, the urine will probably have sunk through to the underlay and therefore it’s too late for any do-it-yourself treatments. 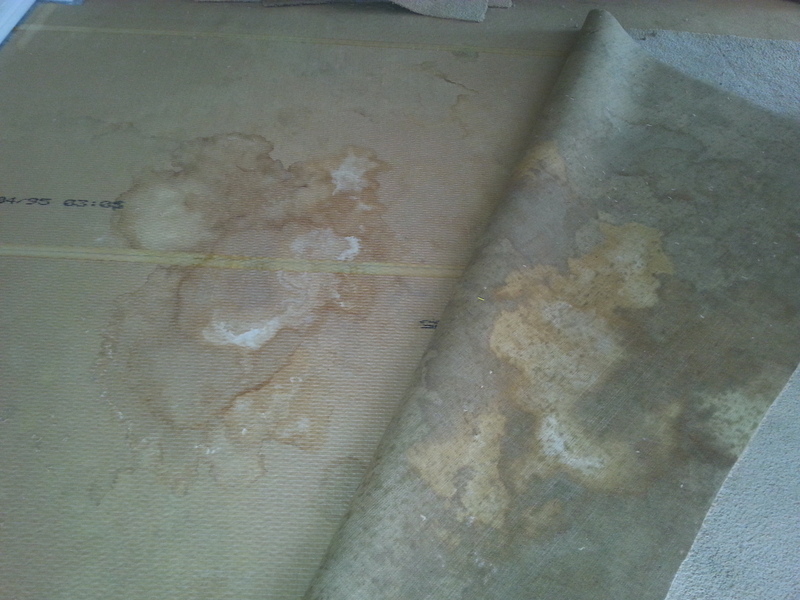 See photo to the right showing how the urine has gone through to the carpet underlay and set in the jute backing, forming uric crystals. 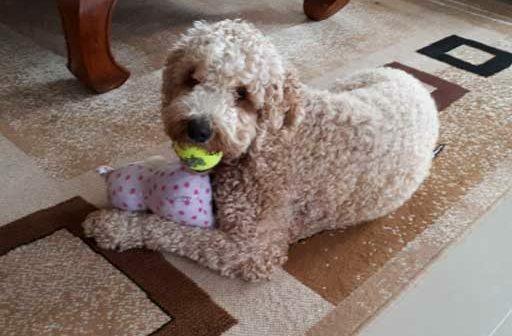 This is when you need to call a professional carpet cleaner, like ourselves, who specialises in treating and eliminating pet urine stains. 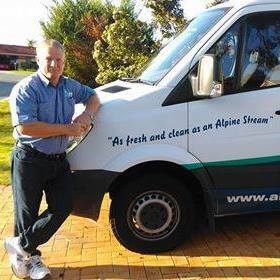 If you live in the Northern Suburbs of Perth, then please don’t hesitate to contact us for more information or an appointment at https://www.alpinecarpetcleaning.com.au/carpet-cleaning-perth/. Happy Cleaning from the Cleaning Guru team!